Does Google have plans for a Google Pad? After the recent acquisitions by Google, another company is on board to join Google, this time its Agnilux. The deal was finalized on April 20th. Agnilux allegedly makes a server chip but there are no confirmations to that. So you might be asking why should Apple worry about this? Well simply because Agnilux was founded by former Apple employees. New york times had done an article on Agnilux in which they talked about the new A4 processor chip. 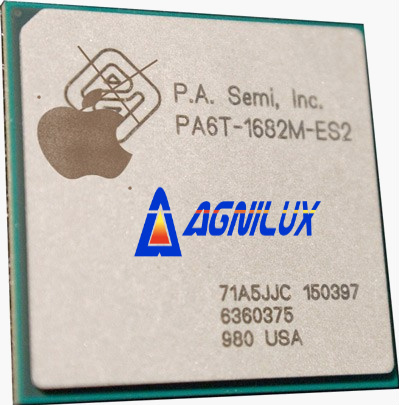 If the allegations were true then Google might be looking at its own version of a tablet pc to compete with the iPad and the chip designs from Agnilux will be of tremendous help. Agnilux did consider other companies before closing in on Google. Cisco, Microsoft and Texas instruments did held talks with Agnilux. Apple was able to develop the A4 processor when it acquired P.A. semi in 2008 for a reported $278 million. Some of those engineers had formed Agnilux only to be acquired by Google. The times had reported that the engineers were unhappy with the Apple stocks and had formed their own company. So does the acquisition of Agnilux mean that we might be seeing a Google tablet? Could be with Google pushing itself to compete head on with Apple in every product. From mobile to tablets, Google has made it clear with its list of billion dollar purchases this year. Previous Yahoo to fight Twitter? Me.Me bought by Yahoo! Next Now Dock your Mac Book – Henge Docks!